The Minneapolis Star-Tribune is reporting that a number of people who zombie-walked through a Minneapolis mall in 2006 and were arrested for it can now sue the police department for wrongful arrest. The zombie-walkers claim they were making a statement about consumerism, and so their actions should fall under protected free speech. Whilst the claim that one can dress as a zombie to comport a political statement is–I believe–accurate and true, as a zombie enthusiast, it strikes me that whether or not the message was political, the MPD is missing the larger point by arresting these folks. As a frequent zombie-tourist (who, in fact, traveled to Minneapolis just 3 months ago to patronize a zombie-themed establishment), I make a point to go places and spend money where zombie culture is accepted, and to avoid places and not spend money where folks would be arrested just for stumbling around and wearing a little stage blood. I am sure not going to go be a tourist in cities that give me the impression of wanting to “crack down” on something as innocent and silly as people pretending to be zombies. Vote with your dollars folks. Seriously. I think, culturally, the mall-cops who phoned this in greviously overestimated the degree to which middle-aged conservative mall shoppers would find zombies upsetting. Zombies delight most people. Zombies are kids having fun in Halloween costumes (so what if it’s April, right?). Zombies are a sense of Carnival and silliness and playing dress-up and pretend. Even the most elderly and easily-startled grandmother usually cracks a smile when a kid in a moldy tuxedo and greasepaint walks by moaning “Braaaaaains…,” even if she doesn’t completely understand what’s going on. Who did these police think they were protecting Minnesotans from? 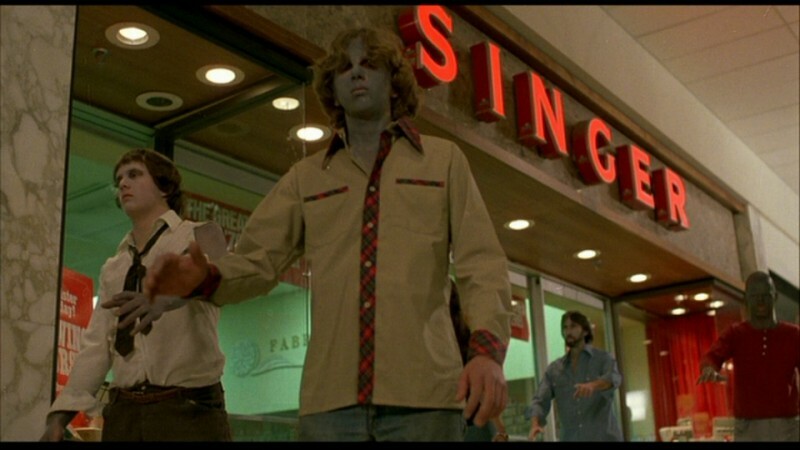 Let me conclude by saying the arrest of these zombies feels out-of-character for Minneapolis, which has always struck me as one of the most “zombie friendly” cities around. Here’s hoping that the courts make the right decision, and these folks are compensated a little bit (they are only seeking $50,000) for being thrown in jail for no good reason.